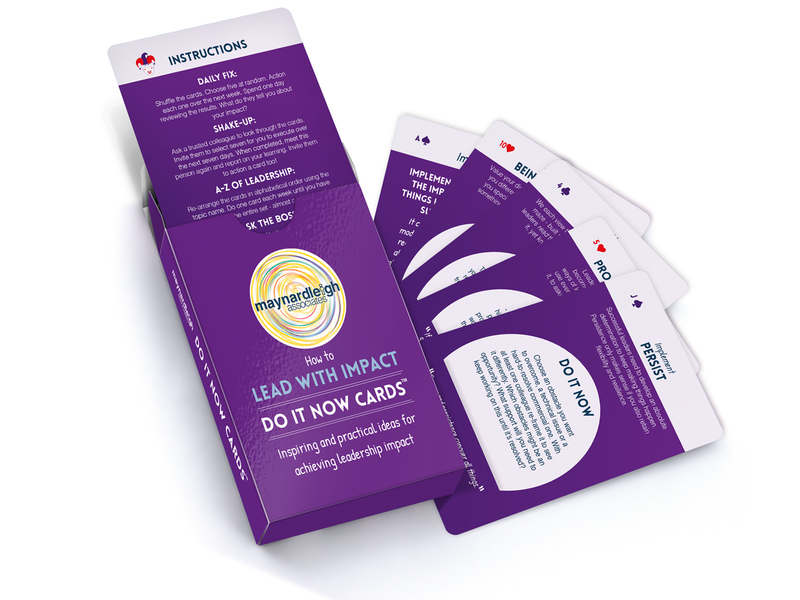 This pack of Do It Now Lead with Impact cards are a practical resource to help deepen your learning experience with Maynard Leigh. Lead with Impact uses the seven essential elements of 'using the 7 I's of leadership impact''; Individuality, Implement, Improvise, Involve, Inspire, Insight, Initiate. This pack of 'Do It Now Action cards' can be used weekly as there are 52 cards in each pack. They are part of the 6 set series - Do It Now Lead With Impact cards which can also be purchased; Engaging Talent, Presentation Impact, Communication & Impact, Personal Impact and Team Impact. Each week, pick a card to reveal a Maynard Leigh tip on how to transform your presentation skills, along with an action point designed by our experienced executive coaches, and an inspirational quote.